Citizens Charter: – This charter will list down all the services available for citizens with associated timelines in which the police have to deliver the service to the citizens. The charter will also detail out the credentials of superior officers whom one has to contact in case of any grievances w.r.t citizen service not being met in time. The citizen charter will be prepared as per the Public Services guarantee act of the respective State/UT, relevant provisions of RTI 4 (1)b of Right to Information Act, National Data Sharing and Accessibility Policy 2012. Complaint Registration: – Citizens will get a facility to register their complaints directly from internet in case they choose not to visit the concerned police station initially. Citizens will also be able to modify/view the registered complaint and track its status online. Domestic Help Verification Request: – For domestic help, citizen can raise a request through online portal and can get the complete status of the verification done. Tenant/Paying Guest (PG) Verification Request: – Citizen (Owner) of the flat/house/shop etc will get a facility to verify their tenant/PG details. Senior Citizen Registration: – Person of the age of 60 yrs or above and residing alone or with spouse are eligible for Online Registration. Citizen does not need to visit the police station for their registration. Citizen will get this service online and check its confirmation for successful registration. Passport Verification Request: – Police verification required for issuance of passport. Organization will raise a request and can get the status of individual verification online for passport issuance. Employee Verification: – Employer can apply for a employee verification request for background verification check to verify the individual's authenticity before employment and also can get the status of verification online. Character Certificate Request: – Most of the government/overseas employers need a candidate's police character certificate. For character certificate, Citizen may apply for the certificate and can get the status of character certificate on the citizen portal, online. Private Security Agency Verification: – Citizens (Organizations) will be able to register their request for verification of security agency. The prior verification of security agencies is mandated by law before acquiring license to operate as security agency. Event/Performance Request: – For any event/performance, Citizen can raise a request for their event/performance activity on police citizen portal and can check the status online for its confirmation. Protest/Strike/Rally etc. Registration Request: – If any kind of protest/strike/rally is being planned in any area, citizen need to take a prior approval. Citizen can apply for any protest online and can get the confirmation online through this portal. Foreigner Registration Request: – Request for foreigner registration can be logged through citizen portal and can check the status online. C-Form Request: – This form is for foreigner who visits in India and it is mandatory for all hotels. Citizen can fill the form online and submit it for further action. Status Search: – One can search the current status of any service request / Complaint / FIR registered, online. FAQs: – Frequently asked questions with regards to registration of complaints and service requests, would be made available to the citizens. Data Sharing: – Police will be sharing all such information and data as permissible under Section 4(1) (b) of Right To Information Act, National Data Sharing and Accessibility Policy 2012 and Public Services guarantee Act of that particular State/UT etc. as per the government policies and permitted under existing laws. There will be certain terms and conditions as laid down by the existing government policies, guidelines, instructions and laws which every citizen in the country will have to abide by, while accessing and sharing such data made available to him/her, in public interest. The confidentiality and privacy issues will be applicable as per the existing laws and government guidelines/ instructions. 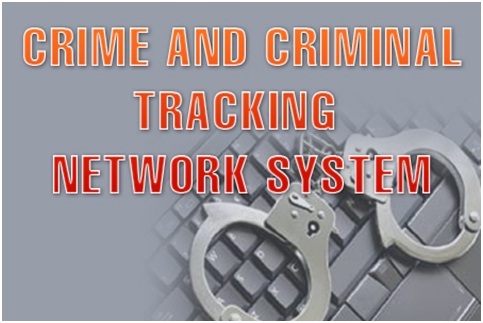 NCRB Citizen Interface: – The service shall enable the citizens to access/ search the NCRB National Database on the data (ex, Stolen Vehicles / Property, Missing Persons, etc.) that is approved to be made accessible to public. The system would enable the citizens to view the NCRB National Database (limited to the data permitted to be made accessible to public) to enable the citizens to search the NCRB National Database (limited to the data permitted to be made accessible to public). CCTNS Project - Attachment of Police Personnel to DTC to assist District Trainer to impart training under CCTNS Project.